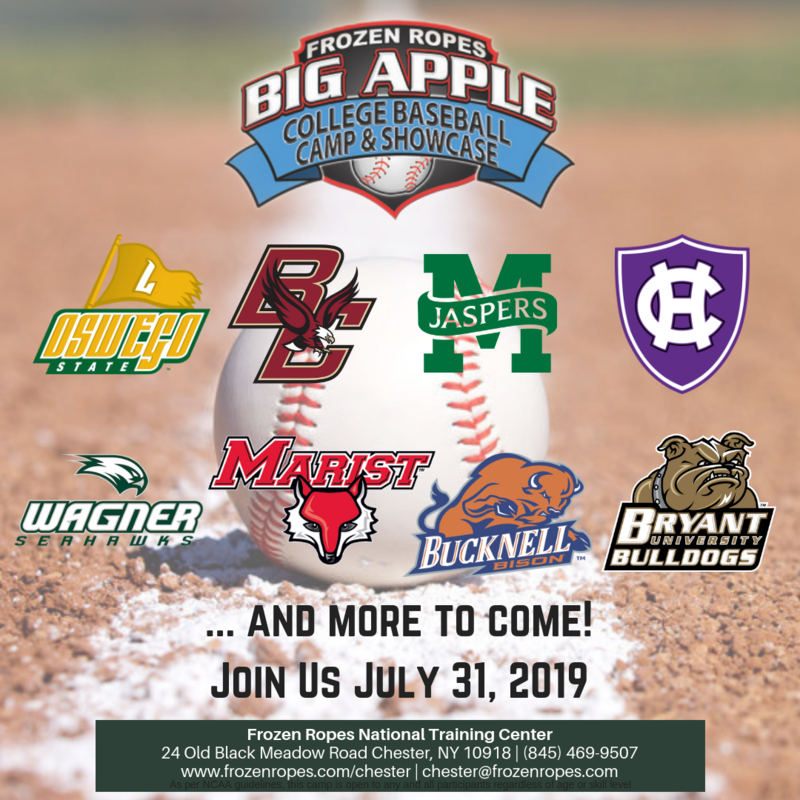 Frozen Ropes National Training Center in Chester NY will be host one of the largest Baseball Showcamps in the Northeast this July. 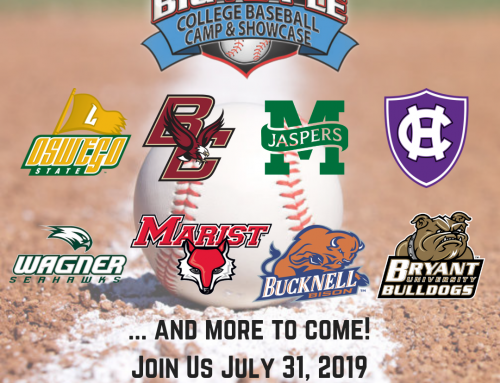 This event features college coaches from the top schools in the country conducting an unrivaled skills camp at the premier baseball and softball training facility in the region. The morning will feature a pitching and catching instructional period, while the afternoon will focus on position playing. 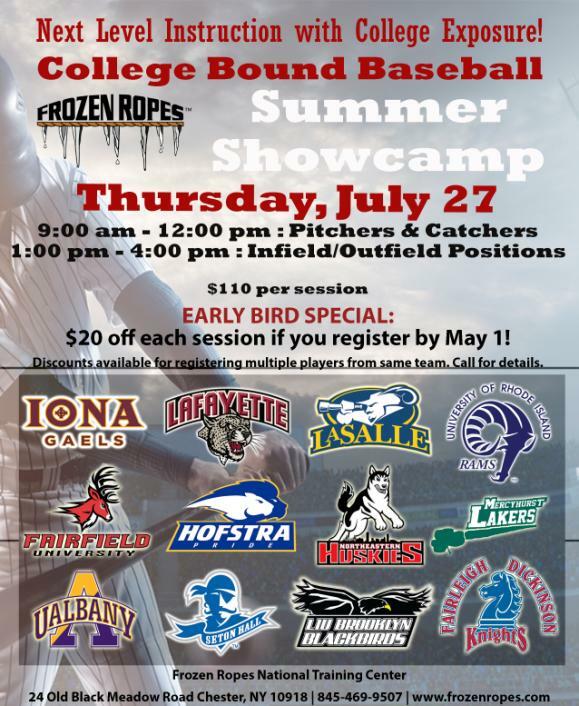 Colleges in attendance at this event include Iona College, Lafayette, La Salle, University of Rhode Island, Hofstra, Northeastern, Mercyhurst, Albany, Seton Hall, LIU Brooklyn, and Fairleigh Dickinson.